Obsidian Apartments are located on Helen Street, Teneriffe. The 13 three and four-bedroom apartments are priced from $1,099,000 to $2.4 million. Just moments from Gasworks and James Street, Obsidian Apartments are ideal for younger apartment owners and those who love the fresh, revitalised vibe of the Newstead/Teneriffe area. 13 apartments starting at $1,099,000. Located at 14 Helen Street, Teneriffe. Construction is yet to commence. Final few apartments for sale. 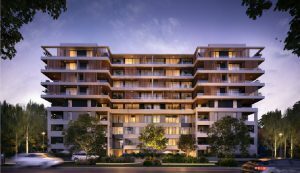 Less than 3km downstream from the heart of Brisbane city, these 13 apartments have spacious floor plans to harness the natural light and inviting balconies for residents to experience their new neighbourhood. Creative layouts provide great indoor/outdoor flow between the large balconies and open plan living and dining areas, plus great separation between bedrooms which creates a real feeling of spaciousness. The shape of the building itself is very striking and almost looks more like a piece of art than an apartment building. Every apartment also has at least two car parks and the complex has low body corporate and low ongoing maintenance fees. While construction of Obsidian apartments has not yet commenced, the demolition of the existing residence on the site took place in August of 2018. Marina ConcourseLuxury waterfront apartments centrally located on the Gold Coast. All apartments are very decently sized, with the smallest being 165m². These apartments are fitted with premium finishes throughout. Considering the average prices for the suburb, these apartments are quite reasonable. Helen Street is not right on the river and doesn’t offer waterfront views, which many of Teneriffe’s luxury properties do. Obsidian is located on the same street as Green Beacon Brewing Co., which is open for drinks until midnight and can be quite loud. There is currently no display suite for Obsidian Teneriffe. There are no communal facilities as such at the Obsidian apartments Teneriffe, meaning body corporate and ongoing fees will be low. Each apartment has at least two car spaces, with the penthouses having four. Each apartment is also entitled to between 12m² and 41m² of individual basement storage, which is a very rare offering for Brisbane’s inner-city apartments. The apartments at Obsidian Teneriffe range from 165m² to 344m². There is plenty of cross ventilation and light which flows through the apartments thanks to the large terrace balconies. The balcony doesn’t so much have doors as fully retractable walls which open up the entirety of your living space and capitalise on the 260 days a year of sunshine in Brisbane. The balconies offer a built-in BBQ too, which means you’ll never have to worry about carting a gas bottle up the stairwell! Each apartment features an internal laundry and plenty of storage space, making these apartments suitable for downsizers who crave a touch of luxury. Some apartments also offer an integrated wine cellar. What is immediately apparent when looking at Obsidian apartments is the size of the living spaces. The kitchens are a very decent size, with a large breakfast bar bench and plenty of storage. You’ll notice in the example floor plan of a four-bedroom apartment below, the walk-in-wardrobe which extends of the master bedroom is ginormous and almost larger than the third bedroom. A large ensuite extends off this as well, with a double sized shower and feature bath. All floor plans at Obsidian’s new apartments have exposed feature ceiling trusses throughout which adorn very high ceilings, giving a slightly industrial feel to the apartments. The living spaces and balconies are finished with large feature tiles, while statement marble adorns the splashback and the large breakfast bar in the kitchen. The fixtures are all a very striking gold colour, from the tapware in the kitchen through to the shower, which really stands out under the LED strip lighting in both the kitchens and bathrooms. 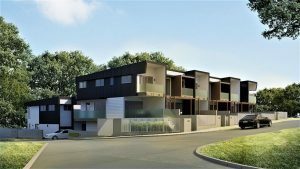 The average three-bedroom apartment in Teneriffe is priced at $950,000, so the starting price of $1,099,000 for the off-the-plan apartments at Obsidian Teneriffe is very reasonable considering the luxury finishes. 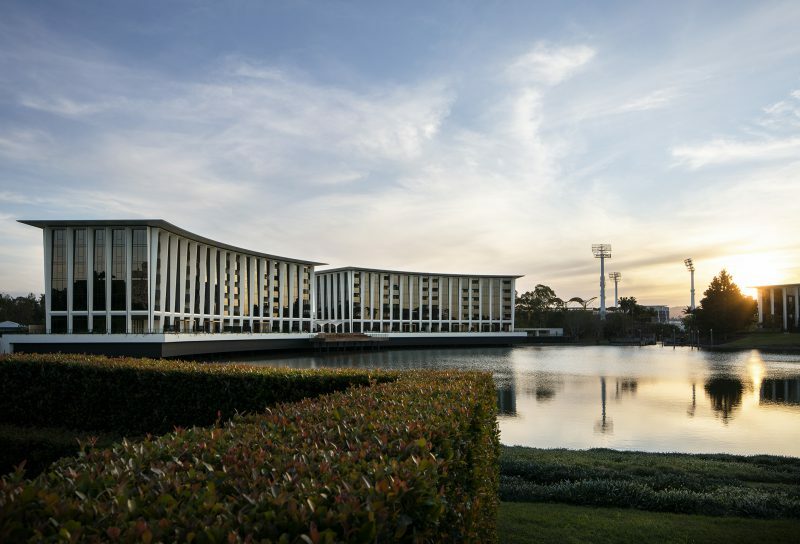 Teneriffe is the first $3 million suburb in Brisbane, with exclusive riverfront properties selling like hotcakes. There is also quite a lot of new development happening in the areas surrounding Teneriffe, so this local demand is expected to continue. Also on Helen Street, construction on The James apartments has been recently completed, offering one and two-bedroom apartments across eight levels. Y43 apartments (with a rooftop pool and sundeck) were also completed earlier this year. 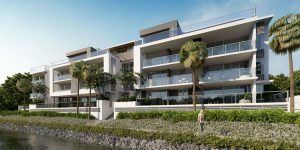 Comparable projects currently under construction are� Fabric apartments in Teneriffe as well as neighbouring Zahara in New Farm and a slew of new luxury riverfront developments in Bulimba. Currently, there are no body corporate details publically available for Obsidian. To enquire about body corporate fees for the remaining apartments, please use the form below. The developers of Obsidian are Visie Properties. 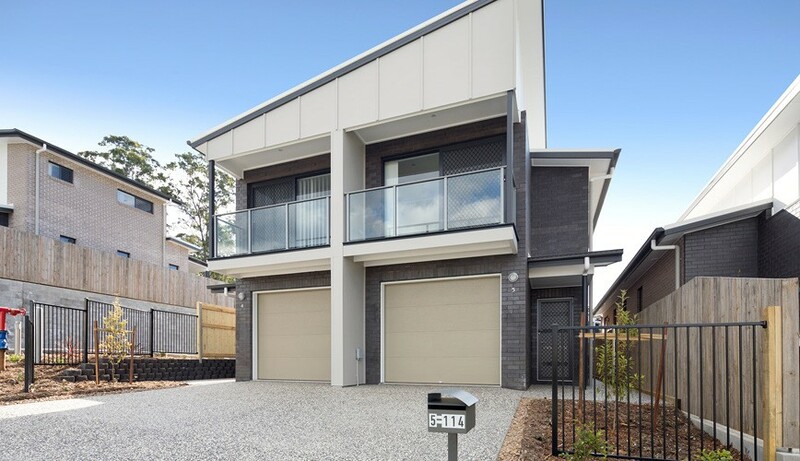 Their other current Brisbane project is Canopy in Taringa which is currently under construction. 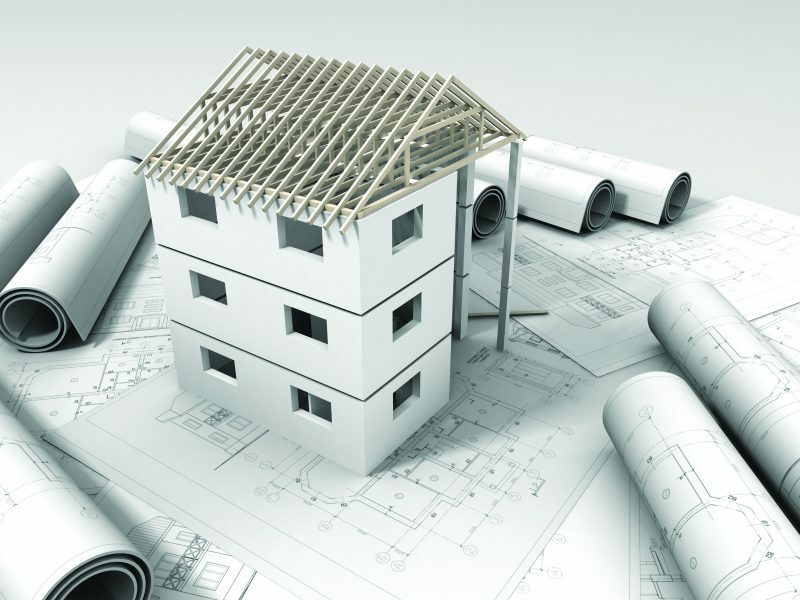 They have previously worked on apartment developments in Lutwyche, Everton Park, Clayfield and Woolloongabba.